Well, I never found my perfectly curated set of travel cosmetics, and in the end, I had to replace it all. I was harboring a secret fantasy up until yesterday that I’d left them at a hotel where I don’t stay often, and that all I’d have to do is go back there and ask if they were in the Lost and Found. 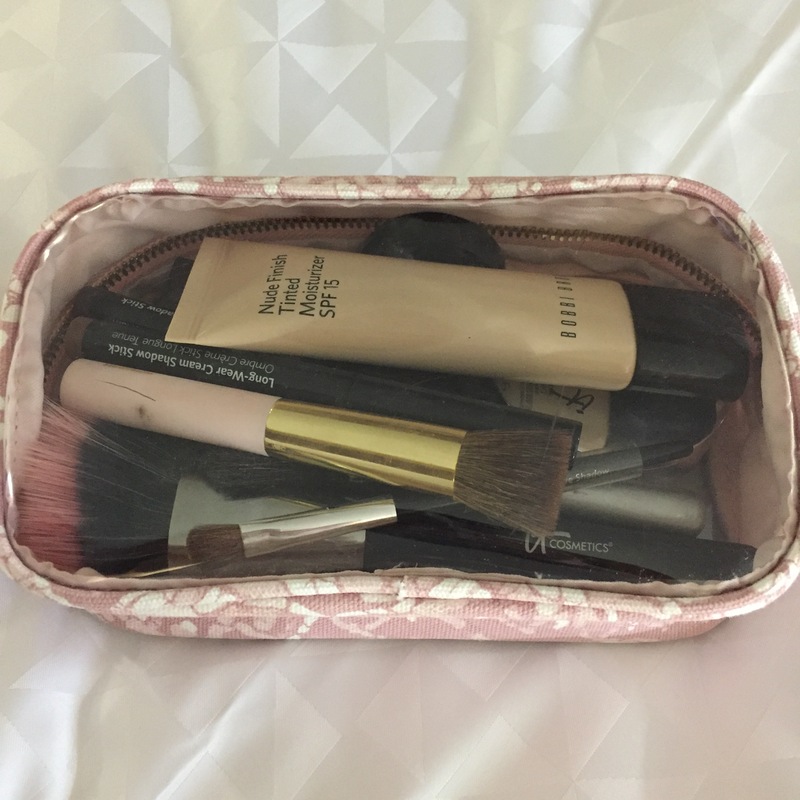 I was able to replace everything but my favorite travel item – a Bobbi Brown palette with corrector, concealer, foundation and powder – was no longer available from QVC (or Bobbi Brown, or anywhere for that matter), although I found one from another seller on Amazon. 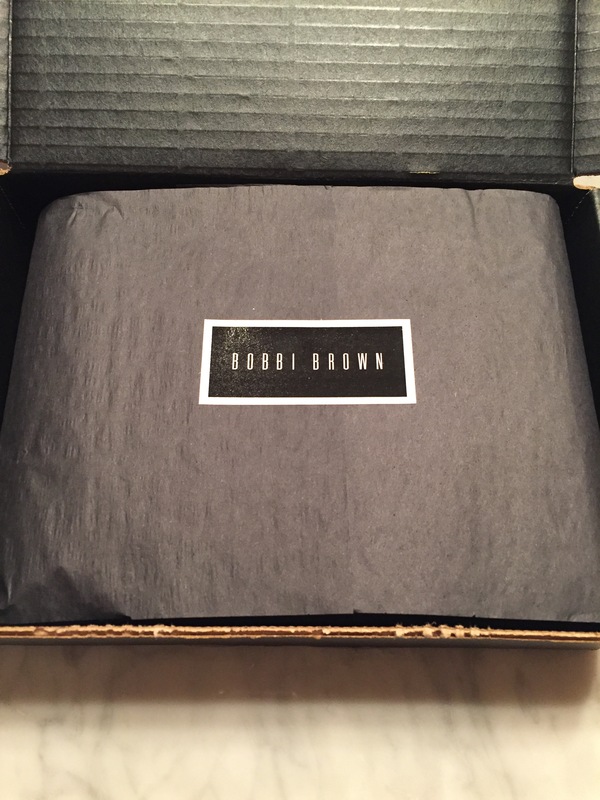 The rest I ordered directly from Bobbi Brown. I absolutely love getting new make up, especially unboxing all of the tiny packages, so it was a real treat to find this package waiting for me last Friday. Bobbi generously included many free samples, so what I got was considerably more than I’d ordered. Score! I re-purposed an old bag from Aerin Cosmetics for my new stash. 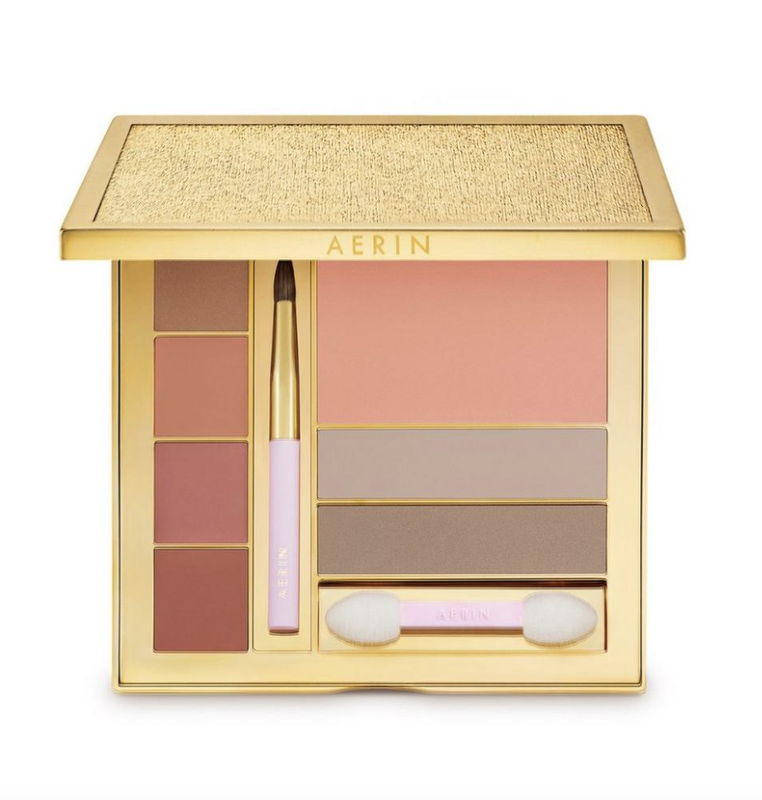 Aerin also makes some great palettes, although they are more for color than skin correction. Here is the “Weekday palette,” which retails for $70. Aerin Beauty is seriously hard to find in stores, but I’ve always liked everything I’ve tried. The gold packaging is also super luxe; all of the compacts close with a really satisfying click. I also recently tried Glossier for the first time. This brand has so much buzz; I’ve checked it out several times but never found something that hit the tipping point for buying. After watching several YouTube Glossier reviews and tutorials, I finally decided to try their Generation G matte lipstick. Picking a color wasn’t easy, even with helpful videos on Glossier’s site showing the colors in action. “Like” was a color described as your-lips-but-better, and that seemed to be a good bet. “Crush” initially seemed too bright but many reviews said the color is really subtle and buildable, so I ordered them both. Although this normally wouldn’t have caught my eye, one reviewer mentioned the heavenly lavender scent of Priming Moisturizer Rich, which was enough for me to put it in my basket. The matte lipsticks are so-so. I’m not crazy about the formula and “Like” is practically invisible on me. “Crush” can bleed and get unattractively clumped on any dry areas, leading to a patchy look. The two colors mixed together seem to provide the best results. The Priming Moisturizer Rich is terrific. It’s heavy, but that’s exactly what my skin needs in this cold weather. It sinks in quickly and the scent is really nice. At $35, it’s also a relative bargain for moisturizer of this quality. Full disclosure: I haven’t tried the Milky Jelly Cleanser yet. I just didn’t get around to it. The Haloscope provides a really pretty glow without too much sparkle, but I often forget to put it on. I didn’t like it enough for it to make my travel kit. My one complaint – and this is in direct contrast to the super luxe packaging from Aerin – is that Glossier’s packaging seems cheap, especially the matte lipsticks. The plastic tubes are thin, don’t close well and definitely lack a satisfying click with closure. They remind me of a gift-with-purchase lipstick freebie, in terms of quality.